One of the modern problems is the problem of drunkenness and baseness, which superior contemporary intellects and even world social leaders both lament it, as according to a famous sentence narrated in this book: In the beginning man drank alcohol now alcohol drinks man. Now in this manner unfortunately in a time and era when mans powerful mind and logic with its exploration efforts plans the goings and comings to different planets, alcohol and other narcotic drugs have announced war on mans mind and logic and has dragged into baseness and helplessness the powerful generation of the twentieth century! Even though usually alcohol drinkers well know the damage and destruction of this burning fire and ruiner of wealth, body and mind, he always makes excuses and permits for himself and in that permits and excuses protection, puts his conscience to sleep. 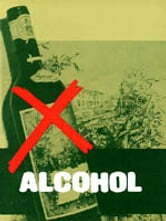 You read, in this book; what are these excuses they use for the consumption of alcohol and how the hide the truth of its damage behind a curtain? How does this dirty alcohol effect their heart, kidney, nerves and especially the mind of mans generation? What connection does the frightening world criminal statistics, especially in advanced industrial countries have to do with this mother of all evils? What do intellects and world famous personalities say and think about this wicked element? Finally, in this book, you will be acquainted with illumines Quranic verses on this subject and also come across traditions from the Holy Prophet (s.a.w), Ali ibn Abi Talib (p.b.u.h) and other superior personalities of the twelve Imams of the Prophets (s.a.w) household. Microcosmographia Academica: Being a Guide for the Young Academic Politician. Whether the Minority of Electors Should be Represented by a Majority in the House of Commons?